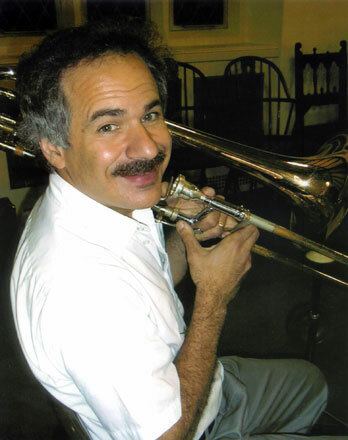 Frank Pedulla, freelance musician, has been performing on trombone, euphonium, baritone horn and bass trombone in the New York Metropolitan area. A graduate of The Juilliard School and Manhattan School of Music, Frank has earned Masters degrees in Music Performance and Music Education. He has played with over 50 different orchestras, concert bands, brass ensembles and big bands, and has subbed on Broadway. In addition to being a full-time performer, Frank is a music contractor, a brass instrument and music instructor, and a brass and woodwind musical instrument repairman. Frank Pedulla contracts musicians for all types of musical engagements, ranging from solo to large ensemble performances. Lessons with Frank are focused on musicianship, technique, sight-reading skills, music theory, an extensive repertoire of various musical styles, and expert instruction on embouchure and breathing. Frank repairs brass and woodwind instruments at reasonable rates.